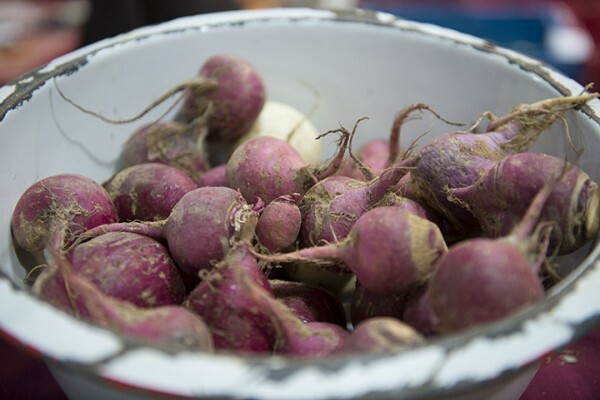 The Ithaca Farmers Market: if you’re like us, the very name conjures up summery images of ripe fruit, bright flowers, and refreshing lemonade by the water at Steamboat Landing. 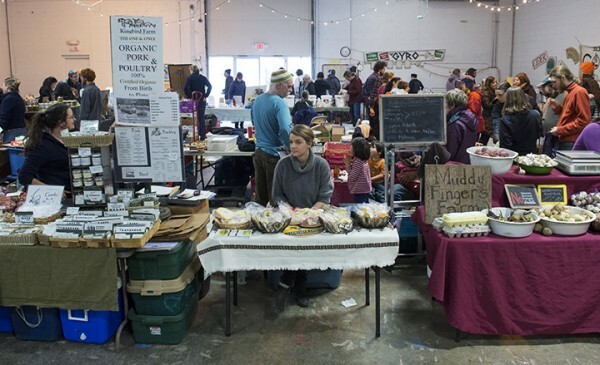 But the Farmers Market is actually the name of the cooperative, made up of 150 vendors who live within 30 miles of Ithaca, NY. 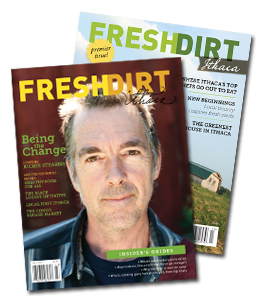 Whether they’re agricultural vendors, local artists and craftspeople, or food vendors, the people who make up the Farmers Market are here year-round. 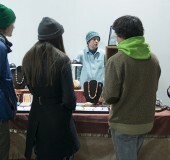 When it’s too cold to brave Steamboat Landing, they set up shop at The Space at Greenstar for the Ithaca Winter Market. 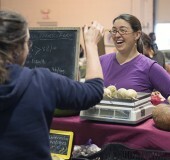 Photo intern Graham Hebel takes us through this season at the Winter Market in the slideshow below. 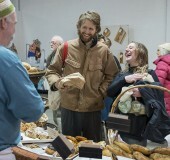 Andrew Darcey-Martin, left, proprietor of Fat Boy Bakery, sells bread to Caroline residents Aaron Snow and Bridget MacRae. 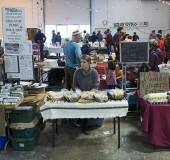 Darcey-Martin is a regular vendor at both the Ithaca Winter Market and the Ithaca Farmers Market. 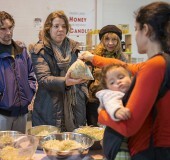 Ithaca residents Mike Davie and Leslie Rosemann buy a variety of sprouts from Ellen Brown, proprietor of Dancing Turtle Farm. 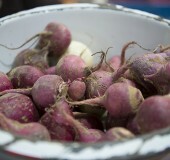 Dancing Turtle offers an array of organically grown sprouts and micro-greens. 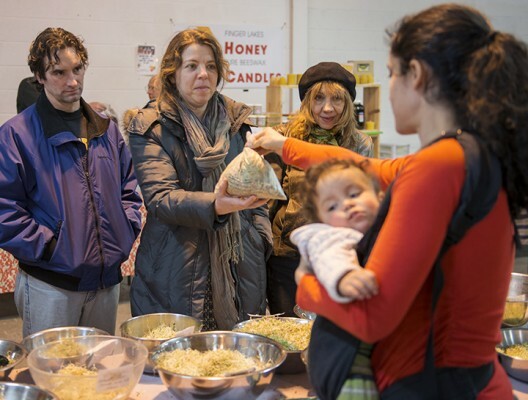 This Saturday, March 30th is the last day of the 2013 Ithaca Winter Market at The Space at Greenstar. 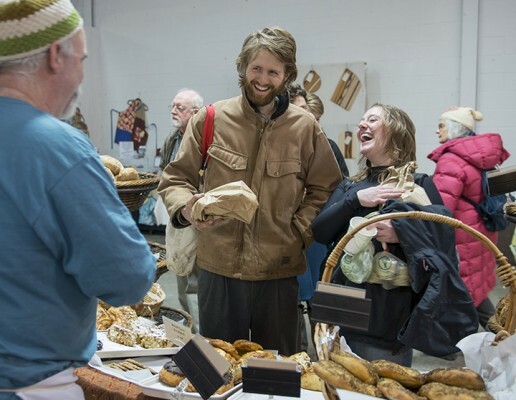 To continue to support your local growers and to satisfy your craving for fresh produce, come to the 2013 Ithaca Farmers Market at Steamboat Landing on Saturdays starting on April 6th, and Sundays beginning on May 5th. 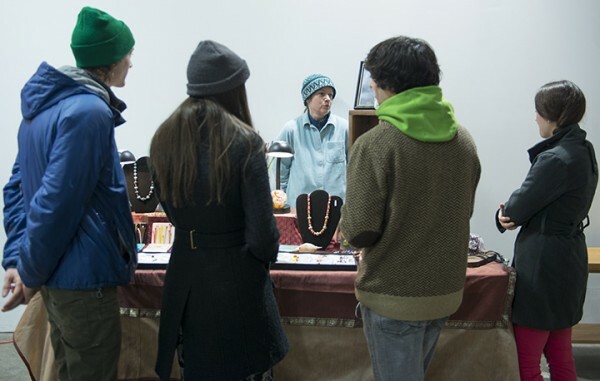 Mary Rolland of Pear Tree Studios talks with patrons about her glass art during the second to last weekend of the 2013 Ithaca Winter Market. Rolland makes blown glass art, glass paper weights, glass beads, and glass jewelry in her Spencer, NY studio. 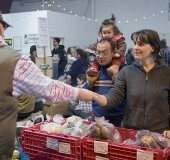 Elizabeth Martin, right, proprietor of Muddy Fingers Farm, sells produce to Berkshire resident Karma Glos. 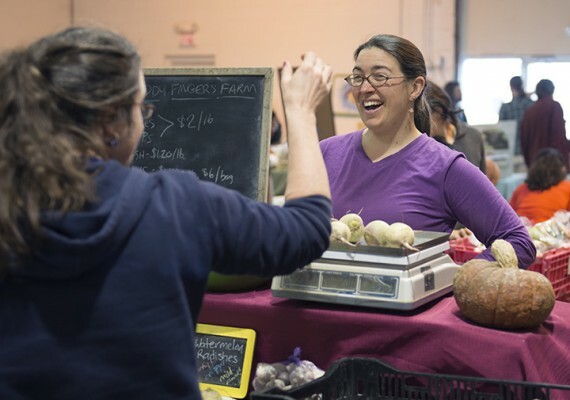 Glos, proprietor of Kingbird Farm, is a regular vendor at the Ithaca Farmers Market where she sells a variety of certified organic meat and produce. 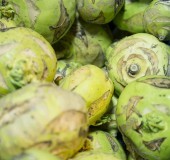 Green turnips from Stick and Stone Farm. 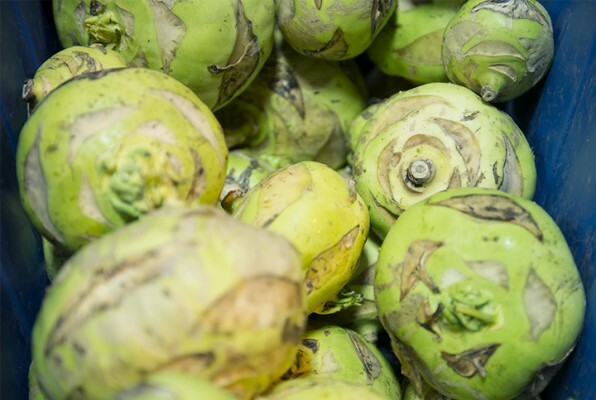 In addition to the Ithaca Winter Market, Stick and Stone's produce can be found at the Ithaca Farmers Market, Greenstar, Wegmans, local restaurants, and on the Seneca & Cayuga Wine Trail. 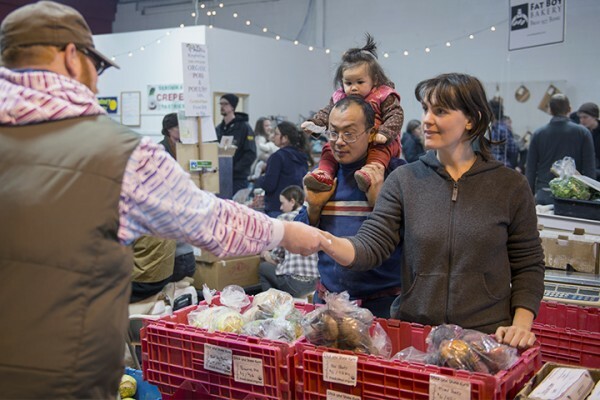 Geneva resident Daniel Godwin buys produce from Stick and Stone Farm proprietors Chaw Chang, Lucy Garrison, and their daughter Rhoda Garrison. Stick and Stone Farm grows a wide variety of vegetables including lettuce, cooking greens, summer and winter squash, heirloom tomatoes, beets, and spinach.